Welcome to the life you love! Retire to the Life You Love is a fresh, energizing approach to the next chapter of your life. 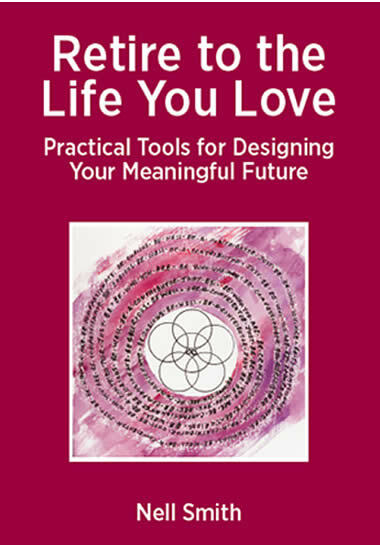 It’s a how-to book to gain inspiration, clarity, and confidence for living true to who you are as a unique human being and it’s an invitation to be intentional about your choices for doing what is most joyful and important to you. With increased life expectancy, the retirement landscape has changed with new and enriched potential. Retire to the Life You Love is about exploring the possibilities and defining the direction you want to move in for a personally meaningful next chapter. you are your future self in the making.